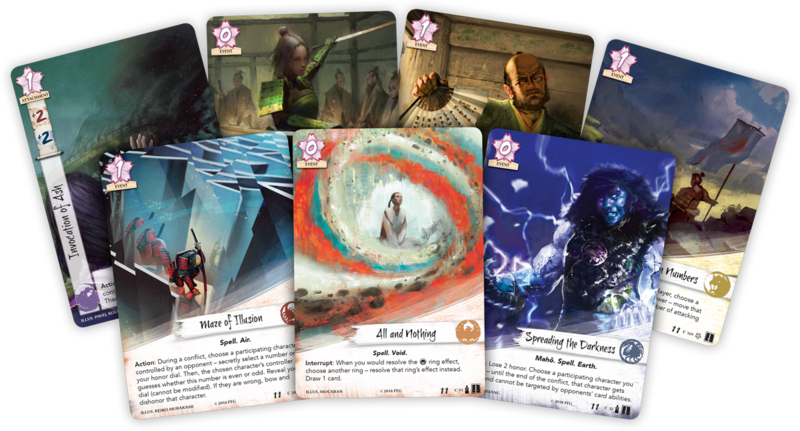 The Kunshu Season Kotei Series is your chance to win all manner of exclusive new prizes for Legend of the Five Rings: The Card Game! 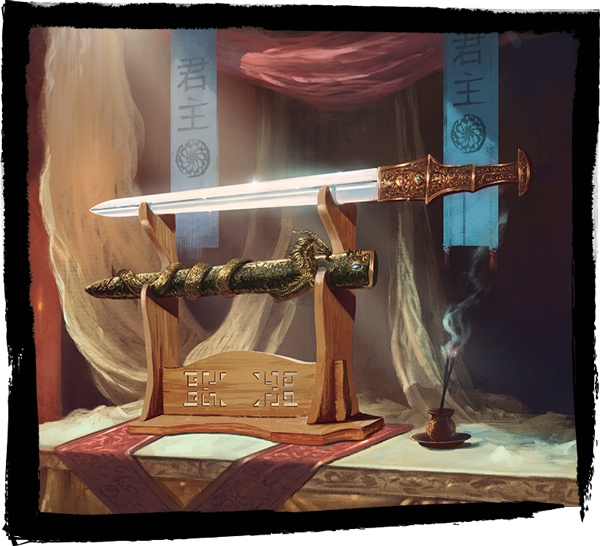 If you're looking to learn how the events in the Kunshu Season will impact the future of Rokugan, the standing of your clan, and your chances of attending the 2019 Winter Court World Championships, you should read the article, "Imperial Gifts." If, however, you're looking to preview the astonishing array of prizes for which you'll compete in the upcoming Kunshu Season Kotei Series events—and to see how this event builds on the results of the Toshi Ranbo Kotei Series—read on! Each regular Kotei tournament features six Swiss rounds. There is no top cut. Each participant in a Kotei tournament will receive a lanyard, a Kunshu Season Kotei Series pin, and three extended art copies of Stay Your Hand. Finally, if you choose to upgrade your participation, you can claim a custom playmat themed to your clan. The Kunshu Season Kotei Series introduces the Prize Station to all regular Kotei and Grand Kotei events. Each round of a Kotei or Grand Kotei tournament, you earn one koku for a loss and two koku for a win. These can be redeemed at the Prize Station for your choice of prizes. These prizes include an array of powerful, spot-glossed, extended art characters printed atop the new Shogun Frame. 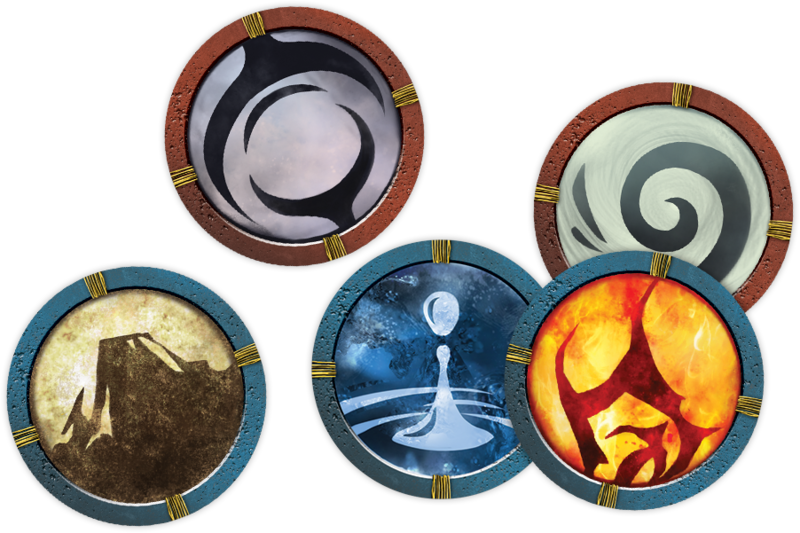 You will also be find the seven clan-themed playmats being made available as an optional, upgraded participation prize. You can find pins for each of the seven Great Clans. This allows you to place your clan's pin adjacent to the Kunshu Season pin. And among the other materials you'll find circulating through the Prize Station, you'll find one particularly notable Scorpion province. Toshi Ranbo was awarded to the Scorpion Clan for their performance in the previous year's Kotei Series, and they have been entrusted to hold the city in order to ease the tensions between the Crane and Lion. Notably, the Toshi Ranbo province features a unique elemental symbol in its lower right corner that indicates it counts as a province of all five elements. 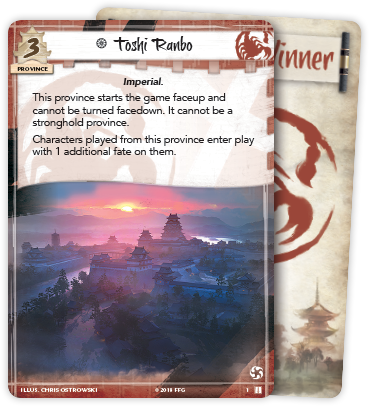 This means that you can add Toshi Ranbo to your province lineup as a province of any element. 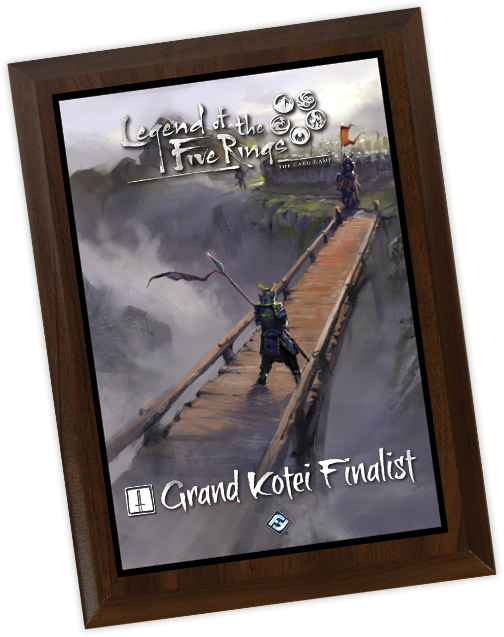 At each Kotei and Grand Kotei, each player who manages to score 52 or more tournament points during the event's Swiss rounds will receive one of the greatest honors available in Legend of the Five Rings: The Card Game. These noble warriors earn the title of Hatamoto, as well as the riches that accompany it. Additionally, at a Grand Kotei, the winner and runner-up earn Hatamoto status if they did not earn it earlier in the course of the event. 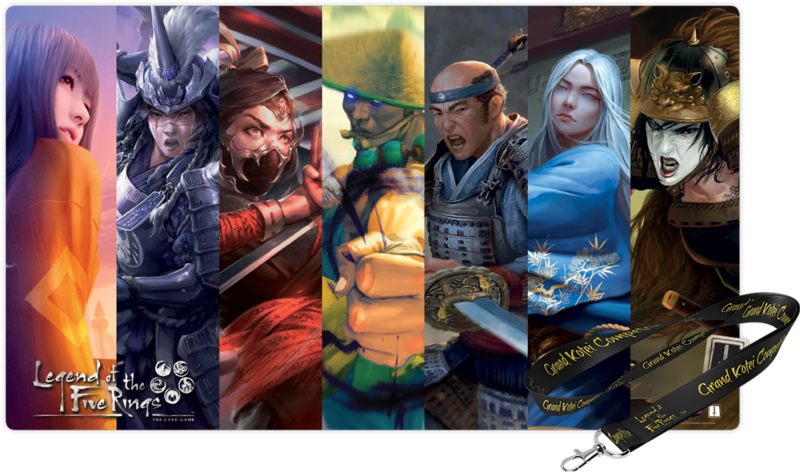 For earning Hatamoto status, you receive a clan-specific Hatamoto playmat. You also receive additional rewards and attention each time you attend a Kotei Series event so long as you retain your Hatamoto status. 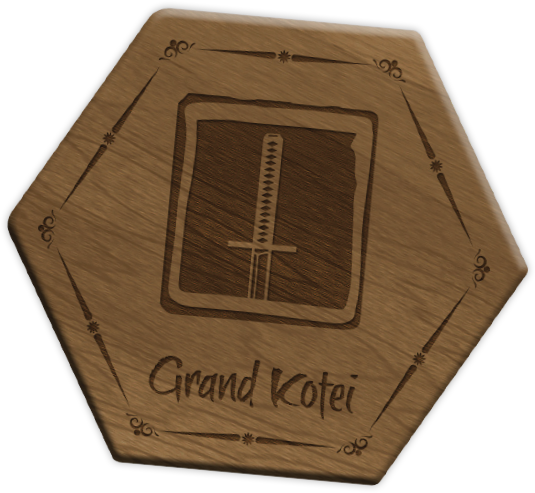 Each time you attend a Kotei Series event, you will receive a ceremonial triumph pin. Foes will try harder to defeat you, and each time you fall in battle, your opponent will claim a commemorative triumph pin. If you attend a Kotei Series event after attaining Hatamoto status and would win it a second time, instead of claiming an additional playmat, you ean the coveted Hatamoto token box! Additionally, once you earn Hatamoto status, you contribute toward your clan's accumulation of Favor Points at future Kotei Series events. Players who become Hatamotos retain their Hatamoto status through the 2020 Winter Court World Championship. 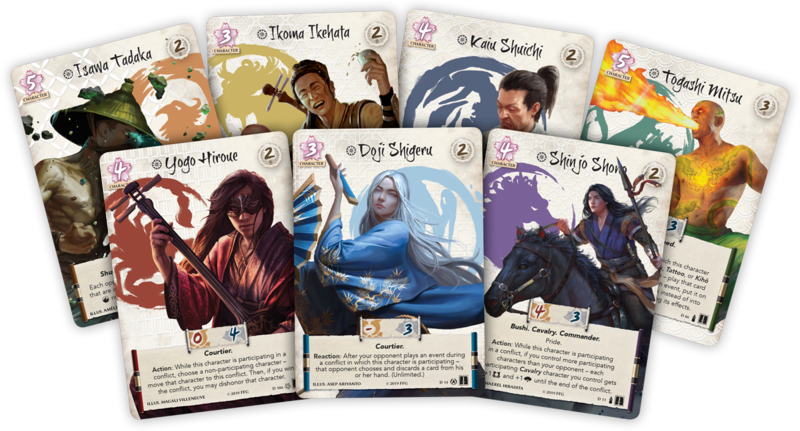 Each Grand Kotei is a truly inspiring event, offering the highest level of competition in Legend of the Five Rings: The Card Game that players can find outside of the Winter Court World Championships. A Grand Kotei is a two-day tournament that opens on Day 1 with six rounds of Swiss-style pairings. Each player who earns 43 or more tournament points will qualify for Day 2, which moves directly into single elimination brackets. Each player attending a Kunshu Season Grand Kotei receives the same pin and extended art cards awarded as participation prizes at regular Kotei. Additionally, Grand Kotei competitors receive a Grand Kotei lanyard, and a playmat that beautifully illustrates Rokugan's tremendous color and diversity. Each player who wins at least 43 tournament points from the Day 1 Swiss rounds at a Kunshu Season Grand Kotei will earn a berth into the single elimination rounds on Day 2, plus an acrylic Kunshu Season bid dial. Additionally, each Day 2 participant will receive a plastic version of the Scorpion's Toshi Ranbo province. The Top 32 players at a Kunshu Season Grand Kotei will each claim a set of ten acrylic tokens. 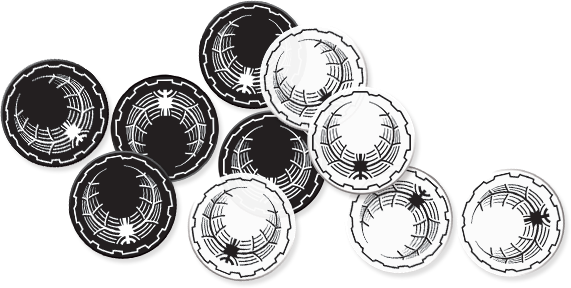 The set includes five white Honor tokens and five black Dishonor tokens. The Top 16 players at a Kunshu Season Grand Kotei each receive a set of acrylic False Ring tokens. The Top 8 players at a Kunshu Season Grand Kotei each receive a scrolled invitation to the 2019 Winter Court World Championship. 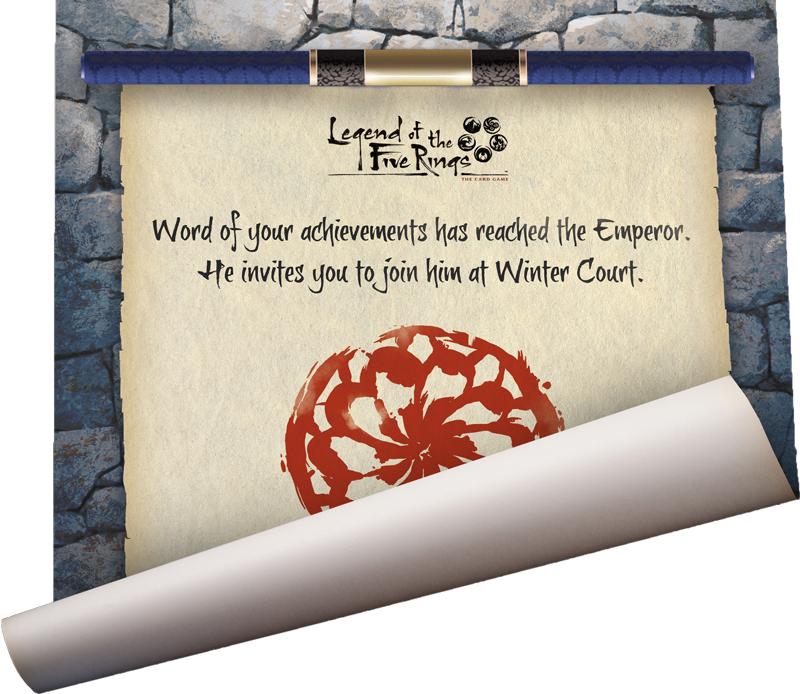 This invitation is worth both a reservation and free entry into the Winter Court. The Top 4 players at a Kunshu Season Grand Kotei each receive a wooden Kunshu Season token box. In addition to all the other prizes they win, the Runner-Up at each Kunshu Season Grand Kotei will earn a beautiful commemorative plaque. 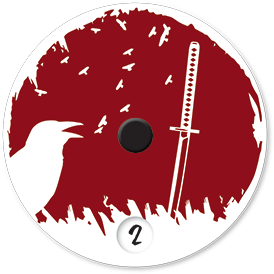 Additionally, if the Runner-Up did not already earn Hatamoto status at the event, they gain Hatamoto status. 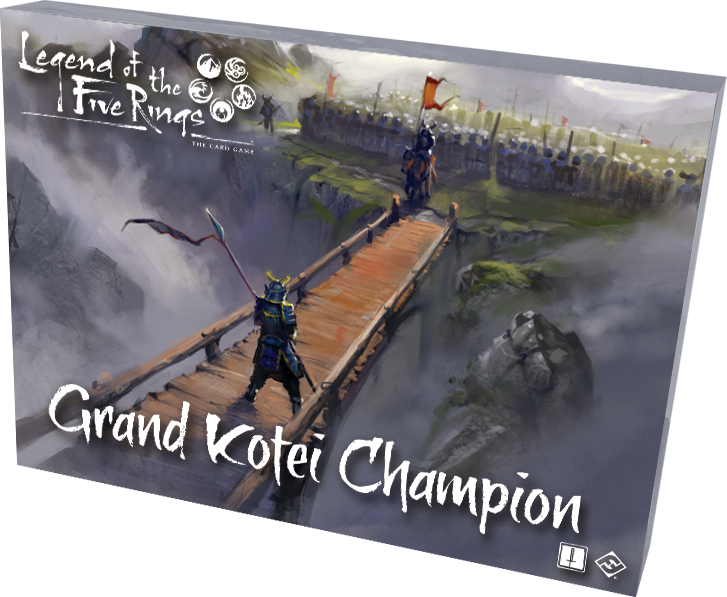 Finally, for accomplishing a feat truly worthy of the Emperor's attention, the winner of each Kunshu Season Grand Kotei will earn a stunning Grand Kotei Champion trophy, Hatamoto status (if not already earned at the event), and free flight and lodging for the 2019 Winter Court World Championship! A Proving Grounds tournament will be scheduled to begin shortly after the Day 2 elimination rounds at each Grand Kotei. Players in this special side event will compete for koku, as well as an invitation to the 2019 Winter Court World Championship. Participants in a Kunshu Season Proving Grounds tournament each receive one copy of their clan's extended art card. They then earn one koku for each game they play and an additional one koku for each game they win. Each player who earns at least 43 tournament points in a Proving Grounds tournament earns an acrylic Kunshu Season bid dial. Each undefeated player in a Proving Grounds tournament wins a reserved seat for the Winter Court World Championship. Notably, players eliminated from the Grand Kotei's elimination rounds before the Top 8 round may "charge" into the Proving Grounds tournament, entering the event with a bye (win) for each game they've missed. In this way, the Proving Grounds tournament offers these players a second chance to reserve their seats for the 2019 Winter Court World Championships! The organizers of each Kunshu Season Kotei Series event will run a number of side events, each of which will reward participants with koku according to their performance within the event. These events include three-round Skirmish Pods, multiplayer Enlightenment Pods, and Costume Contests. The koku that players win in these events can be exchanged for prizes at the Prize Station. Vie for the Emperor's favor. Uphold your clan's honor. Stake your claim for some of the year's greatest prizes. Make your plans to attend the Kunshu Season Kotei Series!